Click and hold screen to flip the JOB Tropic over. Slide two fingers to zoom. No waves? 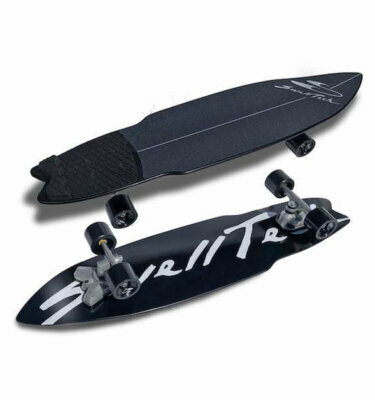 Our SwellTech system will improve your surfing before the next swell hits. 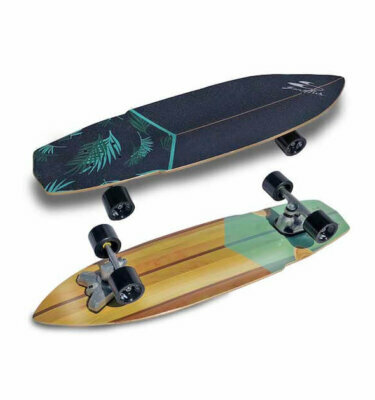 The 2019 SwellTech trucks are designed to mimic the movement of a surfboard by having a completely free motion front truck, with a more rigid standard truck in the rear. 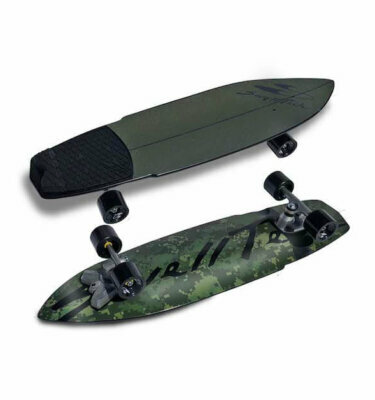 The free motion front truck mimics the unlimited movement of a surfboard -pump for speed and turn in any direction- while the rear truck acts as a stabilizing pivot point, like the fins in a surfboard. 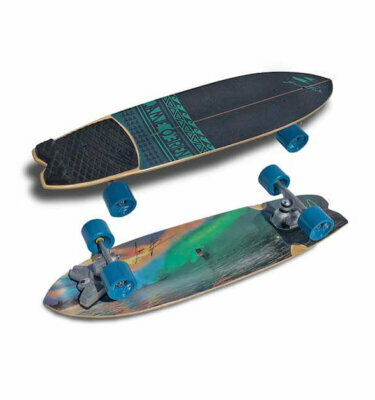 The new 2019 SwellTech Trucks have an upgraded feature in the front axle that allows the trucks to rotate smoother when performing a deep carve and also greatly improves the life of the springs. Our trucks are under Lifetime Warranty; break a part and we will ship and replace them for free. Designed by Jamie himself, the Jamie O’Brien Pro model is built for those looking to progress to advanced levels. 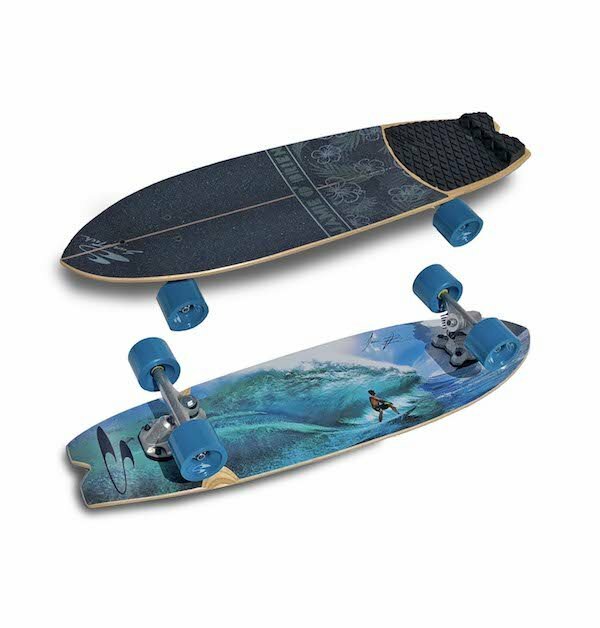 Jamie’s deck is designed to be small and compact, giving a “loose” feel. Jamie’s board is good for 360 slides and quick snappy maneuvers. Best gift ever I use it every day. at gaining speed, carving and body rotation when snapping or hitting the lip. My truck springs broke after some months of use, but trucks are under lifetime warranty and they delivered in no time.